(1) the legal relations founded via this Internet-Shop between the operator of the Shop (hereinafter called “Supplier”) and his Customers only the following General Terms of Business in the respective version at the time of placing the order are valid. (2) In the act of mailing for orders, booking for participation in training courses as well as in the acceptance of deliveries the Customer acknowledges the following Terms of Business, Delivery and Payment as being binding. 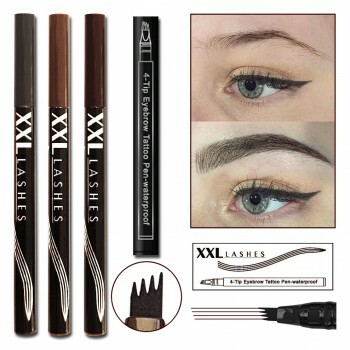 (3) Delivery shall be made only to commercial customers, distributors of this specialized trade and for professional use of Permanent Make-Up products. The Customer is solely responsible for the possession of the required qualification for the use of the respective products and for the compliance of all legal requirements involved in their use and marketing. (4) Differing General Terms of Business made by the Customer shall be repudiated. (1) Presentation of articles in the Internet Shop does not constitute a binding proposal from the Supplier to conclude a deed of sale. This merely serves as an invitation for the Customer to place an order. (2) By sending the order to the Internet Shop the Customer makes a binding offer aimed at the conclusion of a sale deed for the goods among those in the shopping basket on display. By sending the order the Customer also acknowledges these terms of business alone being authoritative for the legal relationship with the Supplier. (3) The Supplier shall confirm the receipt of the Customer’s order by sending a confirmation via email. This confirmation of the receipt of order does not yet constitute an acceptance of the offer to enter a contract by the Supplier. It only serves as information for the Customer that the order has been received by the Supplier. Declaration of the acceptance of the offer to enter a contract is done upon delivery of goods or by means of a specific declaration of acceptance. (4) All stated prices are calculated ex warehouse in Spain, not including statutory VAT, packing, delivery, training charges or other ancillary services. (5) A contract for participation in an event is automatically deemed valid with the payment of the fees that have been stipulated by the participant. (1) Goods delivered shall remain under the ownership of the Supplier until full payment for the same. (2) Goods available in stock are usually dispatched on the day of receipt of payment provided the order is received before 11 am, however no later than the next working day. Insured dispatch is optional in the case of letters and mandatory as a rule for small parcels and packages, and therefore subject to a signature of acceptance from the recipient. Any custom duties levied are to be borne by the customer. 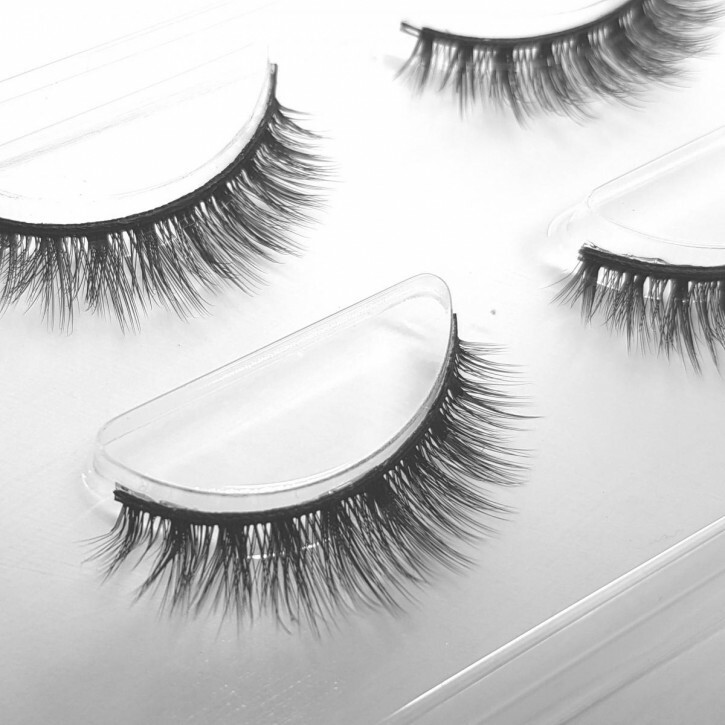 XXL Lashes is not liable for a delay in deliveries and any inconvenience arising therefrom, if the supplier is not responsible for the delay. This is particularly applicable also in the case of the “Express Delivery” option. The supplier has no bearing on the performance and reliability of the courier services. Reimbursement of express delivery charges is therefore excluded. (3) Should goods sent be returned to the Supplier out of reasons for which the Supplier is not accountable, then they shall be re-dispatched only against reimbursement of costs. Should the Customer dispense with a renewed dispatch of goods then the Supplier is entitled to deduct forwarding charges already advanced while reimbursing the purchase price. Payment of the purchase price is due upon conclusion of the contract and before the delivery is made. Payment by check or cash on delivery is not permissible. (1) Warranty rights of the Customer are in accordance with the general legal stipulations unless anything otherwise has been decided upon subsequently. The stipulation under § 6 of this contract (GTB) is applicable for damage claims made by the Customer against the Supplier. (2) The Supplier does not give any guarantee. Cosmetic goods and instruments are sterile products and by the hygiene regulations in force are not subject to the right to return of goods. Returned goods can only be accepted if they are in an undamaged, unused and flawless condition and are retained in the original packing. It forms the responsibility of the Buyer to pack the goods well while returning them and to protect them from damage in transport. Freight charges for the return of goods shall be borne by the Buyer. (3) A booking made for participation in an event is binding and is regarded as a binding commitment once the fees are paid. The payment made is withheld in case of non-participation. In view of the organizational efforts in planning, in case of cancellation, a claim for reimbursement of the fees already paid can be met at the following rate: up to 4 weeks before the event 100%, up to 2 weeks before the event 70%, up to 1 week before the event 50%, less than a week before the event 20%. The Supplier reserves the right to refuse. Fees already paid shall be refunded; claims for cancellation or damage are excluded. (4) The right to cancel is excluded upon acquiring the manual and DVD since the service is considered provided once delivery is made. (1) Damage claims by the Customer are excluded unless otherwise agreed upon subsequently. The aforementioned immunity from damage claims also extends to the legal representative and assistants of the Supplier in case the Customer asserts claims against them. (2) Damage claims made because of loss of life or limb, injury to body or health, and those for a fundamental breach of contractual obligations constitute the exclusions to those listed under number 1 for immunity from damage claims. Fundamental contractual obligations constitute those that are required to fulfil the objectives of the contract, e.g. the Supplier is obliged to hand over goods that are free from material defects, do not bear a flaw in title and to provide the ownership of the same. Likewise, claim for damages arising from a deliberate and gross negligence of obligations by the Supplier, his legal representative or assistants are excluded from immunity from damage claims. Provisions of the Product Liability Act (ProdHaftG) remain unaffected. (3) No liability is assumed for damages incurred because of a lack of knowledge and improper use of the Suppliers products by the Customer. (4) The Supplier also distances himself expressly from the contents and graphics of all linked homepages and disassociates from them. This declaration is also valid for all the links indicated on this website. (5) The name and logo of the Supplier are registered trademarks and enjoy copyright protection. Those who wholly or partly use or imitate the contents without acquiring the required right of use commit a copyright infringement with legal consequences. Assignment or hypothecation by the Customer of the claims or rights owed to the Supplier without the consent of the Supplier is prohibited sif the Customer does not substantiate a legitimate interest in the assignment or hypothecation. Customers right to offset exists only if his claim for offset is established as final and absolute or is undisputed. (1) The Spanish law is applicable for the contractual relations between the Supplier and Customer. The mandatory provisions on consumer protection of the country in which the Customer is based are exempt from this choice of law. The United Nations Convention on Contracts for the International Sale of Goods (CISG) is not applicable. (2) The place of jurisdiction for all disputes arising from the contractual relationship is the domicile of the Supplier unless it concerns a dealer, corporate body under public law or special assets under public law in the case of the Customer. Should a clause of this General Terms of Business be rendered invalid this does not affect the validity of the rest of the clauses. The supplier endeavors to ship products and provide services of only the highest quality. Due to issues of hygiene, the supplier cannot accept product returns after packaging has been opened. Returns and exchanges of unopened, resealable products are accepted within fourteen (14) days of the date on the original purchase receipt. Buyer will be credited with his or her purchase price, less shipping, and less a 20% restocking fee for all authorized returns. Due to limited availability the number of participants is limited. Therefore registration for one of the the supplier workshops will only be binding upon payment of the fees. Cancellation of participation and reimbursement of course fees can only be made if notice is given at least 14 days before the event date. For a cancellation less than 14 days before the event, there is no refund of fees.